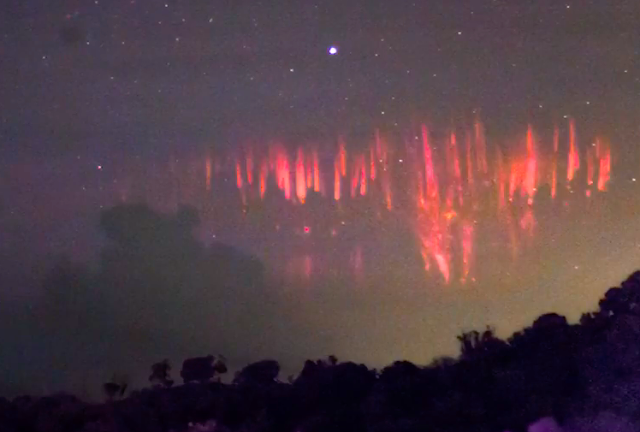 UFO SIGHTINGS DAILY: Cloaked UFO Caused Massive Sprites In Storm, Video, UFO Sighting News. Cloaked UFO Caused Massive Sprites In Storm, Video, UFO Sighting News. UFOs are often seen around storms, hurricanes, tornados and other natural disasters, probably because the electrical static from around their UFO can cause such problems. Here we see a video that recorded sprites, but sprites this big only exist because there is a cloaked vessel within that area. The UFO may be able to hide, but when near static electricity (storm) sprites form and give away the location of the UFO.